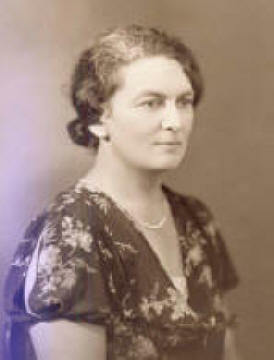 Nancy Claire Marshall was born on 15 December 1893 at Herne Hill, the daughter of Emma Catherine Man and John Maitland Marshall. She married William Sydenham Ebden on 3 December 1918 at St. Barnabas church in Dulwich. William was born on 3 October 1887 at Bombay, India and baptised on 4 November 1887 at Kirkee, Bombay, India. He was the son of Edward James Ebden and Mary Anne. Nancy died on 16 February 1952 on the Isle of Man. William Sydenham Ebden was born on 3 October 1887 in Poona, India and died on 6 November 1951 on the Isle of Man. Nancy and William belong to Generation Seven; their three children belong to Generation Eight and are living. Notes: William was educated at Clifton College, Bristol and then Gonville & Caius College, (BA 1909, Classical Tripos Part 1 Class2), Cambridge. He enlisted with the King’s Shropshire Light Infantry, He was a 2nd/Lt and was wounded (twice) and later captured and held a prisoner of war in Bulgaria. After WWI he joined the Malayan Civil Service and became a District Officer of the Federated Malay States in 1920. He became the Deputy Controller of Rubber Exports in Johore in 1924. He was appointed the Registrar of Supreme Court, Johore, and First Magistrate Johore Bharu in 1925. His other colonial office appointments included: Assistant Adviser Segamat 1926, Assistant Treasurer Penang 1928, District Officer, Upper Perak 1930, Commissioner of Lands, Straits Settlements 1932, Resident Councillor of Malacca 1939 – 1941 and again Controller of Rubber in 1941. He was captured by the Japanese at the fall of Singapore and interned in Changi prison 1942 – 1946. After the war William retired from the Malayan Civil Service and lived on the Isle of Man.